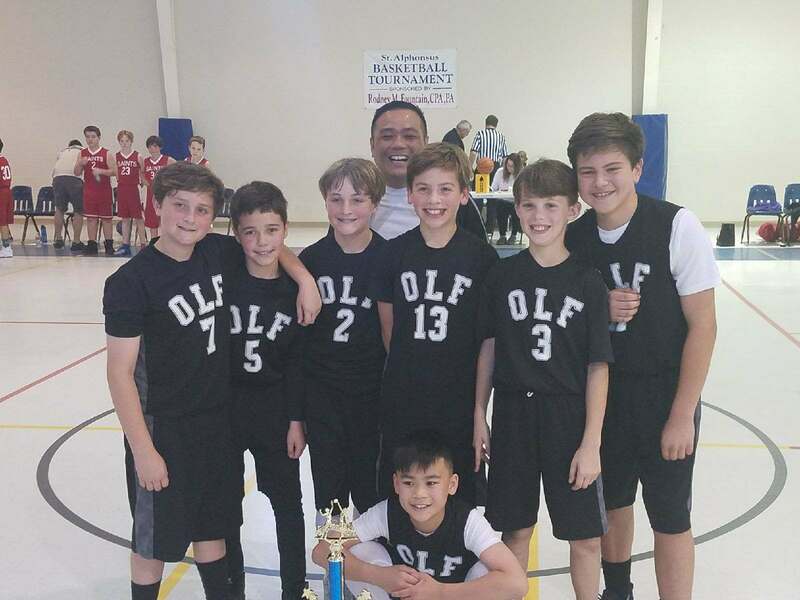 After completing a very competitive Catholic league basketball season, the OLF 6th grade boys and girls finished the season by winning the St. Alphonsus Basketball Tournament. The 6th grade boys team defeated Resurrection and St. James to meet St. Alphonsus in the title game. The boys won the title game 47 to 22. 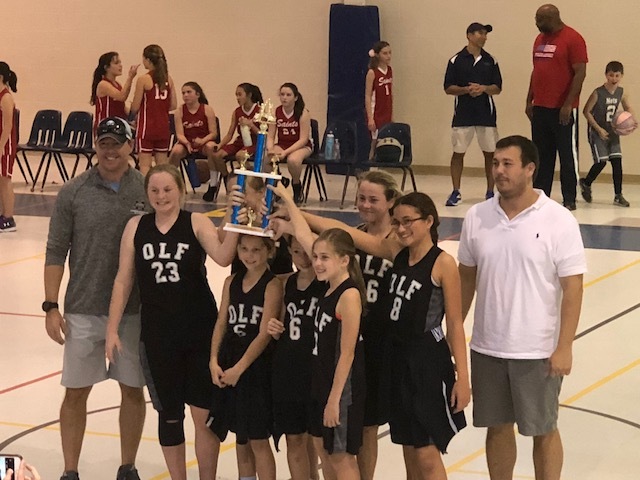 The 6th girls took a similar route and defeated St. Alphonsus in the title game. Congratulations to Ton Nguyen, head coach of the 6th grade boys team, and Ken Mustered, head coach of the 6th grade girls team, and Jeremy Jernigan, assistant coach of the 6th grade girls team, for a terrific season.